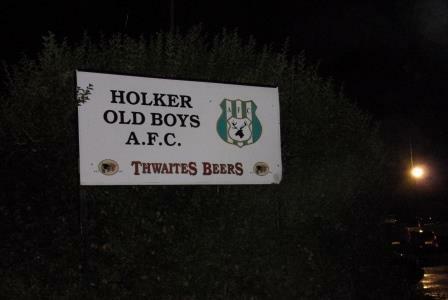 I’ve always liked Holker Old Boys, if for no other reason than them being such a remote outpost of the North West Counties league. I always wonder how this team, tucked away in the southern tip of Cumbria; a dogleg off the map and a tortuous 31 miles off the M6, between peninsulae along the dark A590, can survive year on year. To me, they’re like the ravens and the Tower of London. If Holker are still going, then grass roots football is ok. Bigger and better equipped clubs have been kicked out of leagues for their remoteness, but little old Holker hangs on in there. Their closest rivals this season are Nelson, at 73 miles, albeit going the slow scenic route, skirting the Yorkshire Dales and the town of Settle. 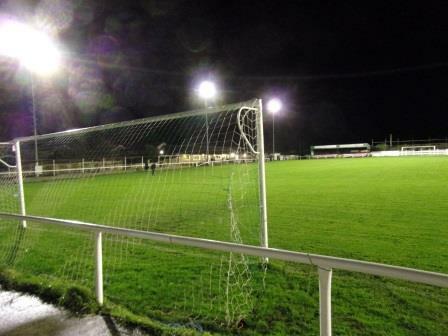 If we’re talking main roads then tonight’s visitors, AFC Darwen, are the closest at 78 miles. That’s some serious mileage for a step six club. 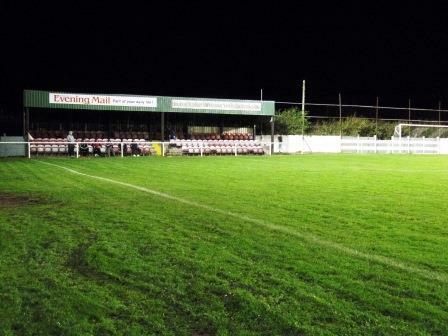 …they have played at step six since 1991/2, when they joined the NWCL. Their best ever finish was 11th in the top flight. They have played at their Rakesmoor Lane ground since 1972, which was improved and floodlighted for their tenancy in the NWC League. As if not content with their geographical isolation, their ground is in the middle of nowhere, betwixt the In-Furnesses of Barrow and Dalton. Indeed, the site was once an isolation hospital and subsequently allotments before Holker took up residence. 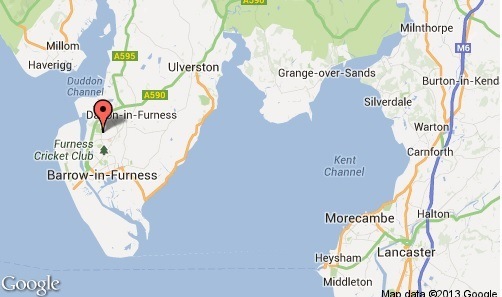 We were staying in Ulverston on holiday, so it was only a short trip down the A590 to the ground. It’d rained fairly consistently for weeks and I was worried the game would be postponed. I texted their secretary on the Monday, who said it was going ahead. On the Tuesday more heavy rain and postponements elsewhere had me double checking with him. I wasn’t taking any chances after missing Barrow on Saturday due to their cup commitments. Another text confirmed categorically it was on. Despite the reassurances, I still wasn’t convinced with the howling wind and rain. The roads around these parts are dark enough, but they get darker as you come off the main road to Barrow, on to Park Road, and then right onto Rakesmoor Lane. It is high up, prone to strong winds, and feels very much the back of beyond. The clubhouse was all the more cosy on this windswept, dank night. 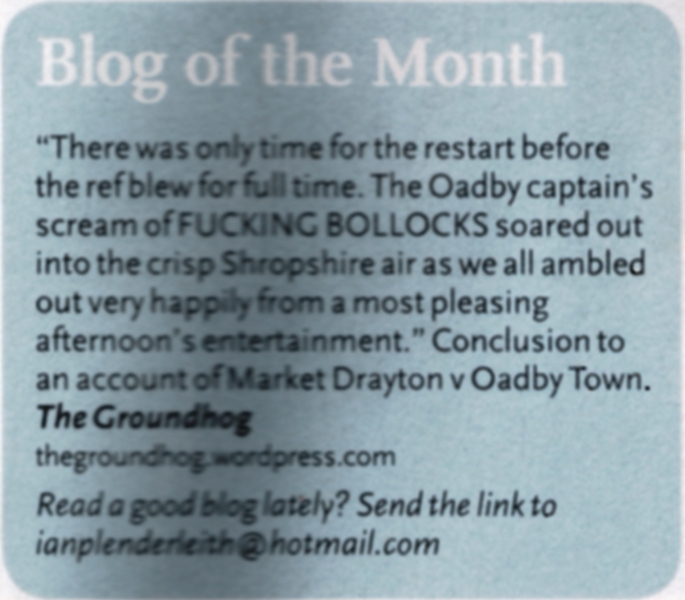 The pitch looked in fine condition considering – no troughs of mud framing the pitch, just glistening green turf. Just 44 turned up to brave the elements, but they were treated to an excellent game, especially the first half. Holker were rampant in attack, scoring three times in 17 minutes to put the tie firmly in their grasp. Three finely taken goals and several close misses had them well on top. In the second Darwen desperately tried to salvage something from the game, but Holker’s defence held out and they topped off their win with a late fourth. 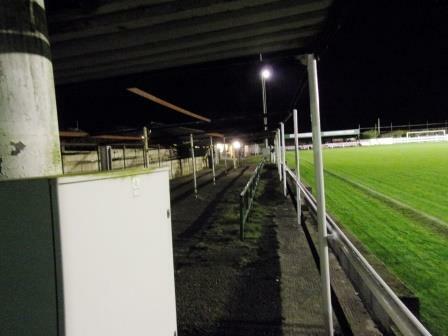 The one stand at Rakesmoor Lane is nestled in one corner. Three rows up, the first two an 18-15 formation with the third being six sevens, making a total of 108. Down by the clubhouse a wide, skeletal Heath Robsinson structure provides intermittent cover. The lack of trees or anything to frame the ground adds to the feeling of bleakness, especially on an October night. However, a decent ground and friendly club. Long may they continue to fly the Cumbrian flag in the NWCL – it wouldn’t be the same without them. They’re the acid test for the strength of grass roots football itself. This entry was posted in Travelog and tagged AFC Darwen, Holker Old Boys, non league football, North West Counties League, Rakesmoor Lane. Bookmark the permalink. Hi Dave, we played their last Saturday (Ashton Town) and the weather was incredible. We had torrential rain, thunder, lightening and even some sunshine !!. 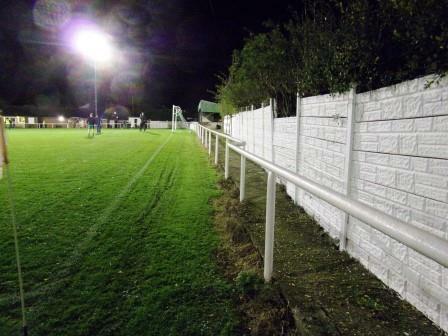 I love Rakesmoor though, great ground and a very friendly club, just a pain in the a**e to get there !! Hope your boys are ok, although supporting Stoke City is worrying !! Catch throughout the season sometime mate.